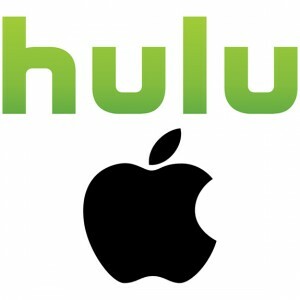 Apple has approached owners of Hulu with a potential bid to purchase the streaming video service. Owners of Hulu include big brand names such as Walt Disney, News Corp., and Comcast Corporation. Apple would be looking to Hulu to bolster the iTunes store video service offering. iTunes already has started offering on demand video rentals that allow you to rent a movie, even an HD movie, and then you have 30 days to watch the movie. You can watch the movie as many times as you’d like within a 24 hour period. Hulu is a private company with no public stock. Though it may sound like it, you really don’t need to wear a grass skirt to watch online video from this company. Hulu operates a website that features video from more than 225 content providers. Offerings include TV shows from ABC, FOX, and NBC, as well as from subsidiary cable channels such as Bravo and Syfy, and films from studios including Sony and MGM. Content is streamed on demand, free of charge the day after its broadcast debut. The company also offers premium subscription service Hulu Plus. The firm was launched in 2008 as a joint venture between NBCUniversal (NBCU, the parent of NBC) and News Corp. (the parent of FOX); in 2009 Disney (the parent of ABC) became a shareholder and content partner.